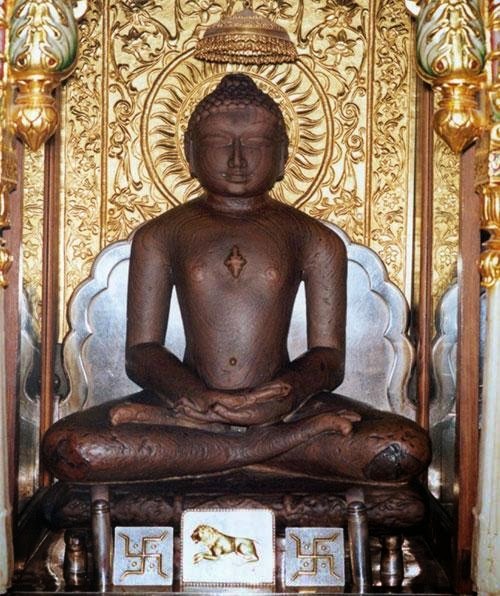 "On Mahavir Jayanti I bow to the venerable Lord Mahavir, who showed the path of peace and welfare for entire humanity", the Prime Minister said. The President of India, Shri Pranab Mukherjee inaugurated the Centenary Building of Asutosh College yesterday (April 1, 2015) in Kolkata. Speaking on the occasion, the President said the quality of higher education in the country must improve. The 11th Five Year Plan had made provisions for improving the quality of higher education in the country. India has over 700 Universities and around 36,000 Degree colleges. Nearly 2 crore students participate in tertiary education. Despite these numbers, international education rating agencies have not placed any of these institutions within the best 200 of the world. On the whole, the quality of education in the country is still low. He appealed to the management of Asutosh College to endeavor to further improve the standard of education in their highly acclaimed college. The President said while the population of Europe and China are ageing, India will have more than half of the working population of the world. This human resource can become a dividend if it is utilized properly. Otherwise it will become a liability to the country. Hence, their skills need to be developed to make them employable. This is why a plan has been developed to impart skill development training to more than 50 crore population by 2022 so that they find jobs both inside and outside India. The President stated that during pre-independence era, luminaries like Sir C.V. Raman, Shri S. N. Bose, Shri J.C. Bose brought laurels to India from Calcutta University. But, after independence Dr. Hargovind Khurana, Dr. Chandrashekhar and Dr. Amartya Sen got the Nobel Prize for their achievements in foreign universities though their foundations were in India. It is, therefore, absolutely critical that the right environment be created for excellence in higher education in the country. The Prime Minister, Shri Narendra Modi has condemned the terror attack in Kenya. "Terror attack in Kenya is horrific. It is most distressing that a university campus was attacked in this manner. Utterly condemnable", the Prime Minister said. The Prime Minister, Shri Narendra Modi, today urged the Reserve Bank of India to take the lead in encouraging financial institutions to set concrete targets for financial inclusion over the next 20 years, to help transform the quality of life of the poor. "I come as a representative of the poor, underprivileged, marginalized and tribals; I am one among them; I seek on their behalf and trust you will not disappoint me," the Prime Minister said, at the RBI Conference on Financial Inclusion, which also marked the completion of 80 years of the Reserve Bank of India. He encouraged RBI to set goals on intermediate targets: of 2019, when the country will celebrate the 150th anniversary of Mahatma Gandhi; 2022, 75 years of independence; 2025, 90 years of RBI, and 2035, 100 years of RBI. The Prime Minister said the success of the Pradhan Mantri Jan Dhan Yojana and the Direct Benefit Transfer of LPG subsidy, had shown the potential of the enormous role that the banking sector can play in ensuring financial inclusion. The Prime Minister called for making financial inclusion a "habit." He asked banks to take inspiration from the success of women self-help groups. He asked banks to keep in mind the requirement of youth who needed either knowledge or skills. He also gave the example of the soon-to-be-launched MUDRA initiative in this regard. He urged banks to come up with creative financial inclusion instruments to help prevent farmer suicides. The Prime Minister said that along with economic and social parameters, there is need to think of a geographical parameter as well for financial inclusion. He said eastern India had immense economic potential, and the banking sector should recognize and plan for this. Appreciating the role played by RBI over the last 80 years, the Prime Minister complimented the RBI Governor Dr. Raghuram Rajan, for his grasp and clarity on economic issues. As part of the Make in India initiative, the Prime Minister urged RBI to take the lead in ensuring that India starts to manufacture the paper and ink that are used to print currency notes. The Governor of Maharashtra Shri Vidyasagar Rao, the Chief Minister of Maharashtra Shri Devendra Fadnavis, the Finance Minister Shri Arun Jaitley, and the Governor of the RBI Dr. Raghuram Rajan were present on the occasion. Consequent upon the Government of India issuing an advisory for Indian nationals to leave Yemen, the Indian Air Force (IAF) deployed two heavy transport aircraft with alacrity, in support of evacuation operations. In a well coordinated operation involving multi agencies, IAF deployed two C-17 Globemaster III aircraft, yesterday. These aircraft took off from Delhi early yesterday morning and reached Djibouti. These two aircraft brought back people evacuated from Yemen to India. The first IAF C-17 aircraft landed at Kochi at 0147 hrs carrying 168 passengers and the second C-17 landed at Mumbai at 0324 hrs carrying 190 passengers. It would be pertinent to note that transport aircraft are being utilised extensively for Human Assistance Disaster Relief (HADR) operations. The Indian Air Force, after proving its mettle in bringing succor to scores of people after Jammu & Kashmir in September last year has once again risen to the occasion and added a pioneering chapter in Disaster Relief by bringing home the Indians evacuated from Yemen. The Indian Air Force reaffirms its commitment towards Humanitarian Assistance and Disaster Relief Operations in support of the nation. The Indirect Taxes collections for the Financial Year (FY) 2014-15 has exceeded the Revised Estimates (RE) target of FY 2014-15 by Rs. 4,000 crore. The total collections as on 31.03.2015 is Rs.5,46,479 crore based on the provisional report as against the Revised Estimates target of Rs. 5,42,325 crore for the FY 2014-15. The provisional collections during the Financial Year 2014-15 increased by 9.9% as against the actual collections during the Financial Year 2013-14, which was Rs. 4,97,061 crore. A Joint Conference of Chief Justices of High Courts and Chief Ministers of States will be inaugurated by the Prime Minister Shri Narendra Modi on Sunday the 5th April, 2015 in New Delhi. He will address the inaugural session. Chief Ministers of all the States and Chief Justices of all the High Courts have been invited to the Conference. The Minister of Law and Justice Shri D.V. Sadananda Gowda will give the welcome speech. The Chief Justice of India Shri H.L.Dattu will also address and will then preside over the working sessions, accompanied by the Minister of Law & Justice and two senior most judges of the Supreme Court of India. The conference is periodically held to address pressing issues relating to the administration of justice in the country. The last such conference was held on 7th April, 2013. A comprehensive agenda has been drawn up for the Conference. With 2.64 crore undecided cases in the subordinate courts and 42 lakh cases in the High Courts, expeditious disposal of cases is the key issue to be discussed. To address this issue, the agenda includes discussion on development of infrastructure, undertaking judicial reforms, ICT enablement of courts and specific steps required for reduction of arrears and ensuring speedy trial. The Government is committed to improve the ease of doing business in India. The role of the justice system in this regard will be discussed in the Conference. The 14th Finance Commission has endorsed a number of activities aimed at improving the justice delivery system at an estimated cost of Rs. 9749 crore over the next 5 years and has urged States Governments to undertake these activities from additional devolution of funds to States. The Chief Ministers of States and the Chief Justices of the High Courts will discuss modalities of funding these important initiatives. Several important issues have been included in the agenda of the Conference of the Chief Justices to be held preceding this Joint Conference. These include developing a National Vision and Mission Plan for the justice sector for 2015-20, salaries and emoluments of sitting and retired judges, promotion and service conditions of judicial officers in the subordinate judiciary and greater financial autonomy for the Indian judiciary. Strengthening of legal aid services, alternate dispute settlement mechanism, judicial academies and juvenile justice system will also be discussed. The Central Government has undertaken many initiatives to improve the justice delivery system. Rs. 3131 crore has been released to States for development of infrastructure since 2011 and another Rs. 1947 crore was released under the 13th Finance Commission for ADR Centres, Judicial Academies, Lok Adalats, Training etc. The Conference is likely to discuss how to leverage this investment for improving justice delivery. The first Phase of the e-Court Mission Mode Project has just concluded with an investment of about Rs. 600 crore, under which case data of 13672 courts is now online. The National Judicial Data Grid presently covering courts under the jurisdiction of 21 out of 24 High Courts is available to the judiciary for improving case and court management and judicial performance. The Conference is expected to come up with definite outcomes in the form of resolutions for implementation by the judiciary and the Central & State governments. At the conclusion of the working sessions, the Chief Justice of India and the Minister of Law & Justice will also brief the press/media at Vigyan Bhawan, New Delhi on Sunday about the deliberations and decisions taken at the conference . The Steel & Mines Minister Shri Narendra Singh Tomar aaddressing the media persons in a press conference in New Delhi today said that as soon as Mines and Minerals Development and Regulation (MMDR) amendment act is notified in about a week, the draft Rules will be circulated to the States and the new Act will result into Simplification of procedures and avoidance of delay in the mining sector. In respect of ten minerals in Part C of First Schedule (like iron ore, manganese, bauxite, copper, gold, etc. ), State Governments needed to obtain the prior approval of the Central Government before grant of mineral concessions. The Amendment removes the need for such “prior approval” from the Central Government, thereby making the process quicker and simpler. Similarly, approval of mining plan by the Government would no longer be mandatory as a proviso has been added under Section 5(2)(b) permitting the State Governments to devise a system for filing of a mining plan obviating need for prior approval by the Government. On the question of the pendency of applications for renewals, the Mines Minister said that to provide a transition to the new system, the Mining Leases would be deemed to be extended from the date of their last renewal upto 31st March, 2030 (in the captive miners) and till 31st March, 2020 (for the merchant miners) or till the completion of the period of renewal already granted, if any, whichever is later. It is expected that this would immediately permit mines that have got closed due to want of decisions on their applications for second and subsequent renewals to start their operations, subject to the necessary clearances like forest and environment. The previous approval of the Central Government will not be required for grant of mineral concession except for Atomic Minerals and Enabling powers for reservation for the public sector are to continue in the Amended Act, Shri Tomar said. The Amendment removes discretion in the grant of mineral concessions. All mineral concessions are granted by the respective State Governments. They will continue to do so but all grant of mineral concessions would be through auctions, thereby bringing in greater transparency and removing discretion. This should also mean that the Government will get an increased share from the mining sector. Unlike in the 1957 Act, there would be no renewal of any mining concession. The tenure of mineral concessions has been increased from the existing 30 years to 50 years. Thereafter, all Mining Lease would be put up for auction and not for renewal as in the earlier system. In reply to another question from media person, Shri Narendra Singh Tomar said, the MMDR Amendment Bill makes it mandatory to establish a District Mineral Foundation (DMF) in all districts where mining takes place. This is designed to address a long time grievance of civil society that people affected by mining are not cared for. Contribution to the DMF of an amount not exceeding one-third of the royalty rate in so far as new concessions to be granted by auction are concerned and not exceeding the royalty in respect of existing concessions has been provided for. The Bill also makes it mandatory for State Governments, while framing rules to give effect to the DMF, to conform to the provisions of such Acts as the Panchayats (Extensions to Scheduled Areas) Act, 1996, Scheduled Tribes and Other Traditional Forest Dwellers (Recognition of Forest Rights) Act, 2006 as well as provisions of the Constitution relating to Fifth and Sixth Schedule areas. On exploration of minerals, he said, the Amendment proposes to setup a National Mineral Exploration Trust created out of contribution from the mining lease holders. This would allow the Government to have a dedicated fund for undertaking exploration. In addition, the transferability provision (in respect of Mining Leases to be granted through auction) would permit flow of greater investment to the sector and increasing efficiency in mining. Citing stringent provisions against illegal mining in the new Act, Shri Tomar said that all offences under the Act will now be subject to a maximum punishment of 5 years imprisonment or fine of Rs. 5.00 lakhs per hectare. State Governments are also empowered to set up Special Courts for speedy trial of offences under the Act. The Steel & Mines Minister Shri Narendra Singh Tomar announced the winners of the National Geoscience Awards – 2013 in New Delhi today. Congratulating the winners, he said, it is indeed a great pleasure for me to honouring renowned geoscientists in India who have made considerable achievements in this field. Shri Narendra Singh Tomar said, Ministry of Mines confers the National Geoscience Awards for honouring and recognising individuals and teams of scientists for their extraordinary achievements, outstanding contributions in the field of fundamental or applied geosciences, mining and allied areas at the National Level every year. The National Geoscience Award for Excellence carries an award money of Rs 5,00,000/-, National Geoscience Awards carry an award money of Rs.2,00,000/- each and the award money for Young Researcher Award is Rs. 50,000/- The award includes award money, a certificate, a trophy and a citation. The National Geoscience Awards-2013 presentation ceremony will be held at Cultural Center, Rashtrapati Bhawan, New Delhi on 6th April 2015. Shri Pranab Mukherjee, President of India will be conferring the awards in the presence of Shri Narendra Singh Tomar, Minister of Steel & Mines, Shri Vishnu Deo Sai, Minister of State for Steel & Mines, Secretary Mines & Chairman, Award Making Authority, Dr. Anup K Pujari, senior officials and Heads of organizations related to geoscientific fields. For the year 2013, twenty three geoscientists are being given the awards in eight fields covering five awards for Mineral Discovery and Exploration field, five awards for Coal, Lignite and Coal Bed Methane Discovery and Exploration field, three awards for Groundwater Exploration field, two awards for Mining Technology field, two awards for Geo-Environmental studies and one award each for Mineral Beneficiation field, Sustainable Mineral Development field, Basic Geosciences field, Ocean Development field and Geo-Information System field. Dr. Indra Bir Singh, a 72 year Professor from Lucknow University is being conferred with Award of Excellence for outstanding contributions made by him in the field of Sedimentary Geology. The National Geoscience Awards are the prestigious awards in the field of geosciences in the country. Earlier known as National Mineral Awards, these were instituted in the year 1966 by the Ministry of Mines, Government of India. In the year 2009, these were rechristened as National Geoscience Awards (NGA) and their scope was expanded. The objective of these awards is to honor individuals and teams of scientists for their extraordinary achievements and outstanding contributions in the field of fundamental / applied geosciences, mining and allied areas to provide incentive for striving towards excellence. Any citizen of India who is a professionally qualified geoscientist / engineer / technologist / academician with significant contribution in any field of earth sciences is eligible for the award. The awards are conferred on persons/teams who, in the opinion of the Award Making Authority, have made outstanding contributions in the particular field of their endeavor with due consideration to the totality of the achievements of the nominee(s). Nominations are invited annually for NGA under three categories viz. Award for Excellence (one no. ), National Geoscience Awards (19 nos. in 16 fields) and Young Researcher Award (one no.). The Award for Excellence is conferred on an outstanding geoscientist / engineer / technologist / academician with an exceptionally high lifetime achievement for a sustained and significant contribution in any of the 16 disciplines. The National Geoscience Awards are given to persons/teams in recognition of their meritorious contribution in any of the 16 disciplines. The selection of the awardees is a three tier process involving screening by expert committees at two levels and the final selection by the Award Making Authority, chaired by the Secretary to Government of India, Ministry of Mines. Till date i.e. NGA-2012, 698 geoscientists have been conferred with the National Geoscience Awards. The Minister of State ( I/C) for petroleum and natural gas, Shri Dharmendra Pradhan, today thanked the chairman of Tata group of companies Mr. Cyrus Mistry for endorsing PMO INDIA CAMPAIGN of GIVEITUP. He complimented him for the initiative by which employees will forego the lpg subsidy component and the amount will be re-deployed towards nation building. This Ministry of Road Transport & Highways has proposed a draft Road Transport & Safety Bill which after wide public consultation has been circulated to the concerned Ministries for their comments before bringing it to the Cabinet. The Bill has included several reforms, including a major focus on the safety on roads and increase in the penalties for various offences. Based on the inputs received from the general public as well as other stakeholders, the penalties proposed in the first draft were rationalized. Even so, the penalties now proposed in the fourth draft reflect a substantial increase in the quantum of penalties, as indicated in the comparative table attached. The quantum of punishment is way above that provided in the present Motor Vehicle Act, 1988.The penalties are not only in form of graded pecuniary fines but also imprisonment, naming and shaming, community service etc. The quantum of penalties proposed will be higher for the repeat offences. There would be demerit points for the offences leading to suspension of the license. The Ministry proposes that the schedule stating the quantum of punishment may be changed on analysis of the data related to reasons of offences.